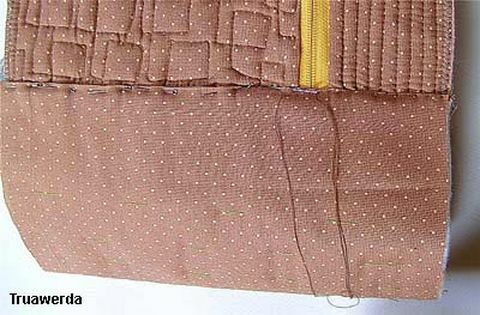 How to sew a bag kofr box? ~ DIY Tutorial Ideas! 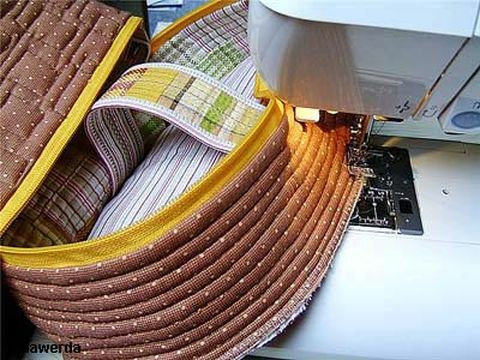 Home » bag , Tutorial » How to sew a bag kofr box? 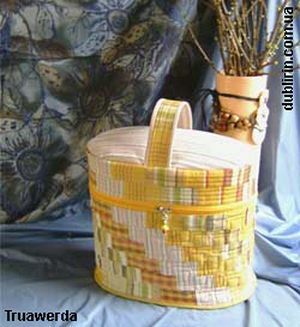 * The main fabric of similar quality, with a soft pattern that will go to the lid, the bottom and the inside of the handle. * Synthepon or other material for sealing the case of the case. 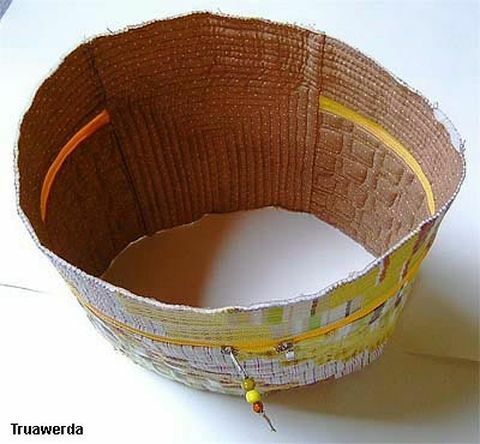 * 2 pieces of oblique bake: - under the color of the lining - 1 m. - and under the color of the main cloth - 1 m.
* Adhesive spiderweave or glue spray. 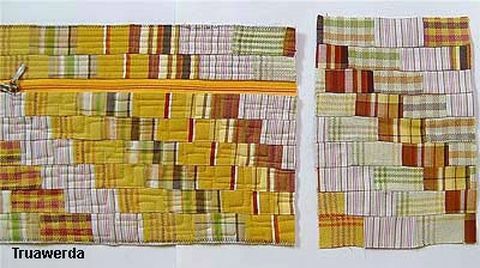 The selected remains of fabrics are cut into strips 8,5x55 cm. From the stripes we add the cloth so that the colors alternate dynamically. 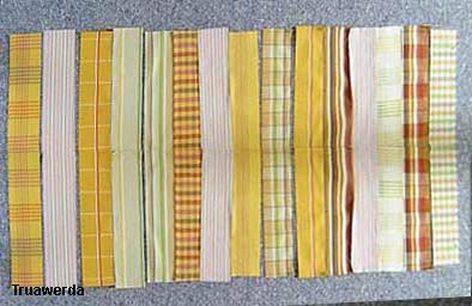 Be sure to include in several places strips of the main fabric. 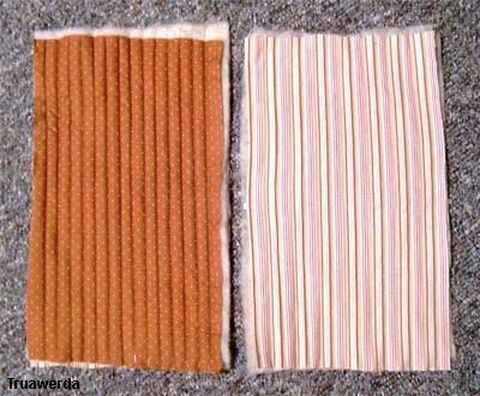 In my case, the main fabric is yellow-pink stripes on a creamy background. 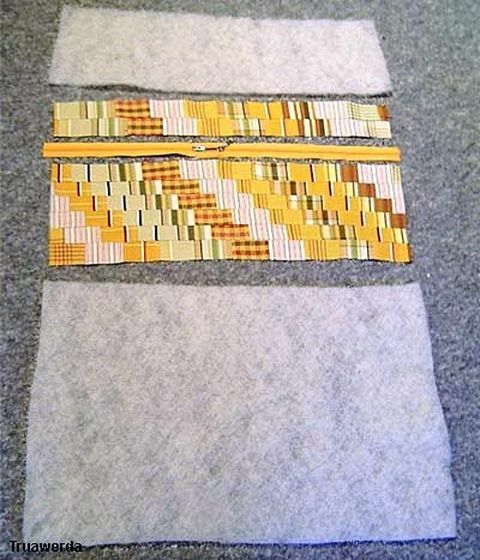 Sew the strips in one sheet, smooth the seams in one direction. 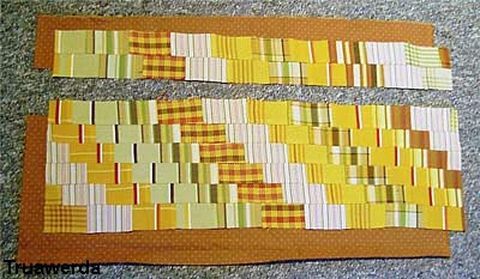 Using a long ruler, cut the fabric along into 5 cm strips (this size can be varied depending on the pattern of the fabric). 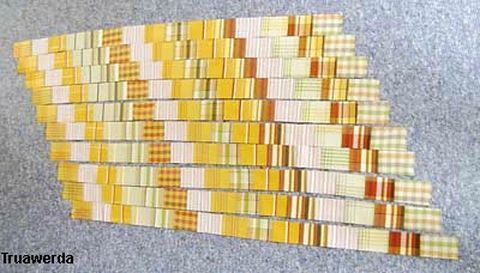 We move the strips "ladder". - and 6 strips for the main body of the coffer. The remaining bands will be useful to us for the rear closing part of the coffer. Seam allowances are smoothed in one direction, the stripes are just as long as one canvas, we cut the edges evenly. Got a top for our coffer, 70 cm long. We cut out two rectangles of lining fabric of exactly the same dimensions. Next for the assembly we use a zipper of the appropriate color, 70 cm long with two sliders (I recall that you can take two locks of 35 cm with one runner). We cut out two details from the synthepone, two times as high as the prepared patchwork cloths. We sew the lock, while sewing the top, lining and sintepon. 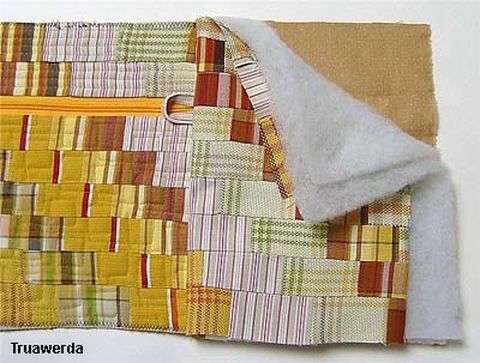 Fold the sandwich, as indicated in the photo - the lock rests with runners up and is hidden between layers of fabrics, the line will pass along a straight line, in the center of the sintepon. We fix the line and turn the details on the face, thoroughly iron it out. In the same way, we sew the rim of the lid to the free lath of the lock. Next, for density, the sandwich must be quilted. 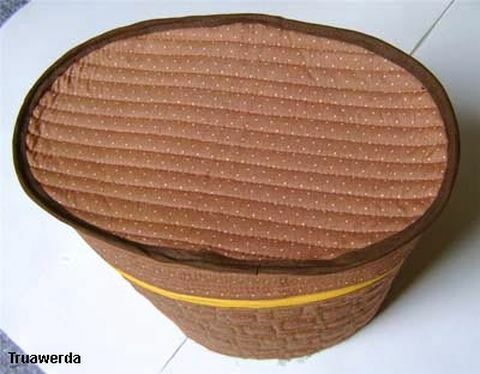 Draw the stitch to the taste, in my case it's "running squares" for the lower part and a horizontal stitch for the rim of the lid. This is how our finished quilt with a sewn lock looks. Edges, I trimmed and processed zigzag (you can overlock). The ironing cloth after the stitch and stretch it well by hand in length, this will prevent the waviness of the lightning. The length of the cloth is 68 cm + allowances for seams. From the cuttings "ladder" we collect the back, connecting panel of the coffer. In height, it should coincide with the height of the main fabric, width - 18 cm + allowances for seams. Cut out the same rectangles from the lining and double sintepon. So, came to the handle. 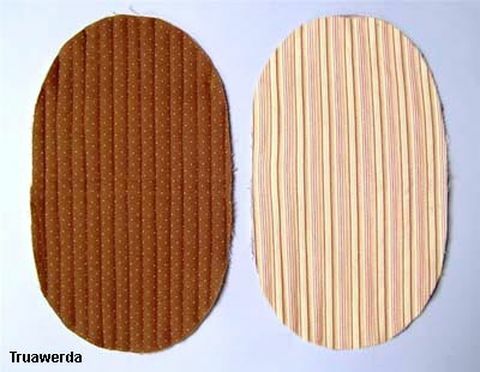 From the color strip cut off 34 cm, we glue volumnenfisom or two layers of non-woven - this is a blank for the handle. We sew two strips of loops from any fabric - they are very necessary, so that later it would be more convenient to open the zipper. For the back side of the handle, we cut out a strip of the main fabric, the same length as the colored blank for the handle, but wider by 2.5 cm. 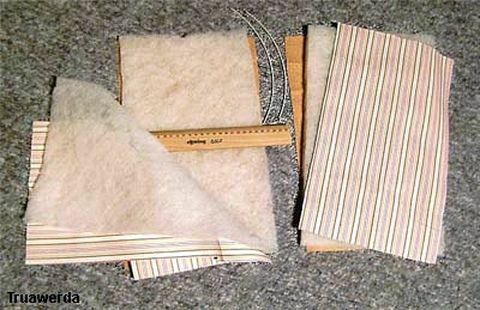 The strips are folded face to face and are sewn by a seam of 0.5 mm along the long sides. We turn the part out, spread it several times over the entire surface and along the edge. The layers of the handle will be securely fastened, and it will become stiffer. Two eyelets are sewn on the front side on the side of the zipper. 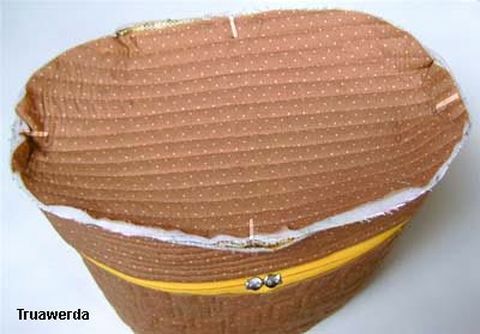 Then, all the details of the middle connecting part are sewn to the side cut of the main fabric, with the lap the continuation of this web should form. The sewn part is steamed. From the seam to the middle, we sweep all layers of the sandwich with contrasting thread. The edges are leveled, we check the dimensions. 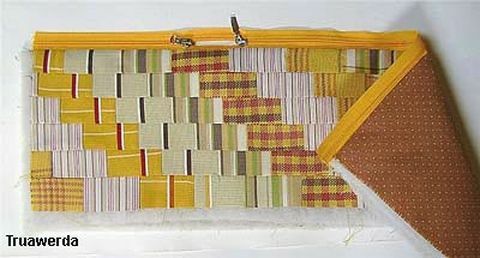 All the layers, except for the lining, are tied to the second edge of the canvas, and thus we close the canvas into the "well". The lining is tucked and pinched along the seam of the sewing by tailor's pins, then sewed by hand. Cloth ironing. 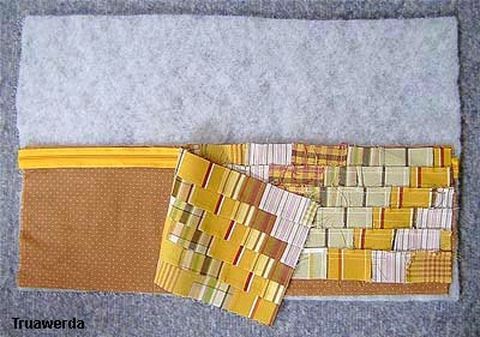 The middle sewn part also requires a stitch. 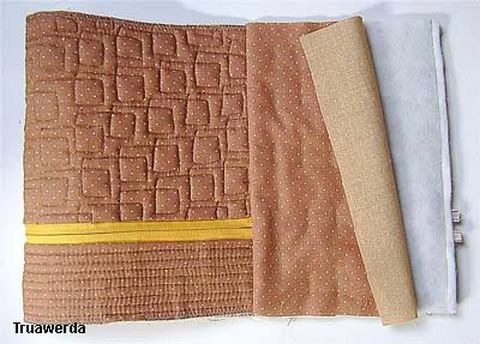 Fantasy and your experience will prompt how to do it quickly and conveniently - I quilted with a frequent vertical seam. We pass to the bottom and the lid. We cut out rectangles of 40x23 cm from the main, lining fabric and synthon (two layers). We put together two identical sandwiches. In one sandwich, which is intended for the lid, between the layers of the sintepon at the level of the transverse axis of the oval, we insert two pieces of crossbelt, at a distance of 2 cm from each other. In the photo there is a ruler on this place. In future, the pen will be attached here. We fix all the layers of the sandwich with each other by a glutinous cobweb or glue of temporary fixation. Sandwiches fasten with a frequent stitch and iron with steam. We cut out two identical ovals 35x21 cm. The bottom and the lid (with crossbars) are ready for further assembly of the coffer. We tamp the handle to the cover of the coffer, combining the middle of the end sections of the handle with the middle transverse axis of the cover. We pass to the final stage of the assembly. We turn the well into the wrong side and mark the longitudinal and transverse axis along the rim of the lid, put the marks. It is very simple to do this: we combine the two seams of grinding the parts, fold the well flat, in the places of the rims on the rim we place the marks with the chalk. 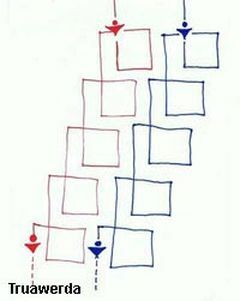 We connect these marks, we put new ones in the places of two new creases. We connect (chip with tailor's pins) the bezel and the lid in the given four places. Unfasten the lock completely. Now you can sew the cover and the bezel. To sew more conveniently on a rim, I recommend a seam 4-5 mm, no more. 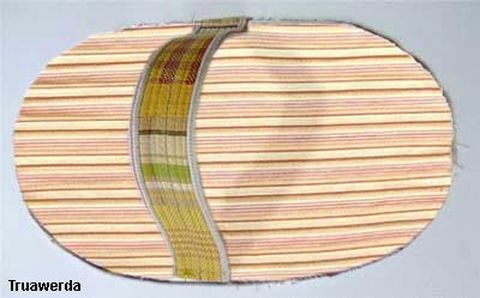 To edge the seam allowances with an oblique bake under the color of the lining. 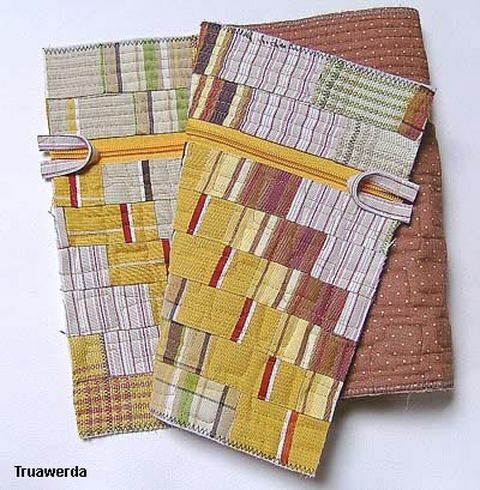 In the same way, we sew the bottom, but we sew it on the front side of the box, i.e. Seam allowances will look outwards. We trim the allowances with the oblique bake in the color of the front side (top). The coffer has a large and stable bottom. That, in fact, that's all. Our handsome man is ready! The height of the coffer is 28 cm.